William Cooper AKA Bill Cooper was a true patriot. He did what Alex Jones claims to do every day. Whats the difference between William Cooper and Alex Jones? 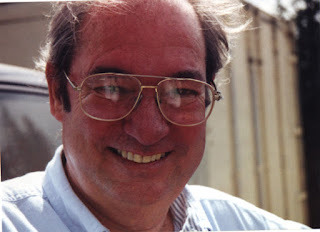 William Cooper was murdered. At the time people said he was a militia member, but all of the people that knew who William Cooper was would have told you otherwise. He served in the military and saw first hand a real flying saucer that came out of the ocean. When he questioned his superiors about it, they quickly told him to keep his mouth shut, and it never happened. This is what started William Cooper in his long journey for the truth. Now that journey has ended, and William Cooper is dead. All that is left now is Alex Jones. Kind of makes you wonder why Alex Jones isn't dead doesn't it? Could Alex Jones be a disinformation agent seeded by the Illuminati? Your guess is as good as mine. It could very well be possible. Use your better judgment, Alex Jones may know something hes not telling us. Why does Alex Jones never mention the Illuminati or any other secret society on his radio program? I'm sure he would say, "Its because I made movies about it I don't have to mention the secret society anymore"....Alex Jones this is a cop out answer. A secret society that controls the world is always relevant, and should always be in the minds of the people. I think that is very strange...Please watch these videos, Rest in Peace William Cooper. GOD bless you for posting this. Bill was a true prophet. Have you noticed that the logo of Prison Planet contains two sixes? Makes me think of 666 in the bible. Alex may be a victim of Monarch mind control not even realizing that he's just a puppet. There are many false prophets these days.